Yesterday I posted the ART OF JOURNALING (read first before you start the challenge). I mentioned that it was in preparation for this weeks Intentional Challenge. There is such beauty in writing in a journal. It exudes freedom and is extremely liberating. Journaling can bring healing, happiness, joy, hope, and self expression. It is one of them most amazing ways that I am able to process through life as I know it. I proudly keep a journal. A very Free Spirited journal I might add. I have learned to let go of my expectations of what my journal should look like and simply embrace the art of journaling as a whole. This brings me to the challenge. Use your already existing journal. Each day I want to encourage you in writing towards understanding who you are as an imperfectly, perfect version of yourself. Here are my prompts for you as you write this week (but feel free to change them and create your own as you explore who you are in light of being intentional & authentic to yourself). Often we lose sight of who we are and who God wants us to be. If we do not understand these things, how are we actively going to be able to build relationships, bridge gaps of judgment and misunderstandings, or form a community if we cannot accurately articulate who we are are as a person. Monday: Write a manifesto. Answer the questions: who am I? What do I stand for? What do I believe? Wednesday: What was the biggest blessing I experienced today? Was it unexpected? How did it make me feel? How can I bless someone else with the same blessing? (Then go out and do it). Thursday: First... clear your mind. Find something to mediate on. A verse. A saying. A thought. Then with all freedom and abandon... write. Write whatever comes to mind. Saturday: 5 things that are a blessing and a joy in my life. 5 that I wish were different in my life. 5 things that I love about the current spiritual season that I am in. Sunday: I am fiercely loved by ________ . Why? How do they show me that they love me? 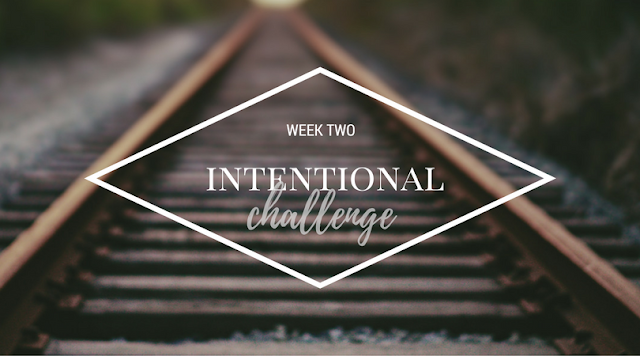 Will you join me for this intentional challenge? Are you willing to explore deeper into who you are as a beautifully imperfect version of yourself?